Painting and hanging wallpaper inc woodworks. I always use 1400 grade lining paper. Make sure to plumb line your wall so so paper is level. If your walls are good with no cracks in or holes and your using blown vinyl wallpaper then you shouldn't need lining paper. Sand down your skirtigs and doors, apply one coat of undercoat then one coat of gloss. Prepare walls and woodwork, undercoat and gloss woodwork then allow to dry. Line walls if required, if you do line your walls then leave to dry overnight. Apply wallpaper over top of lining paper, making sure to plumb line again. Prepare your walls and woodwork, Sanding and filling as required. It's always better to cross line your walls. As you say there in good condition a 1200 grade lining better should be fine but if there are no cracks or holes it may not be necesary. Woodwork: Once filling and sanding has been done, wash down and apply 2 undercoats and 1 topcoat. 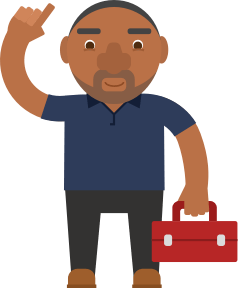 Post a job on MyBuilder to find quality, local Painters & Decorators who can help you with your project. Can I paint directly on a wall with wallpaper paste residues and some light dents and scratches?